Fashion, I'll never understand you! But I can't quit you! Mainly because going outside naked is a societal no-no. Although maybe it's preferable to carrying this wang-and-ballicals purse in public? I can't be sure. 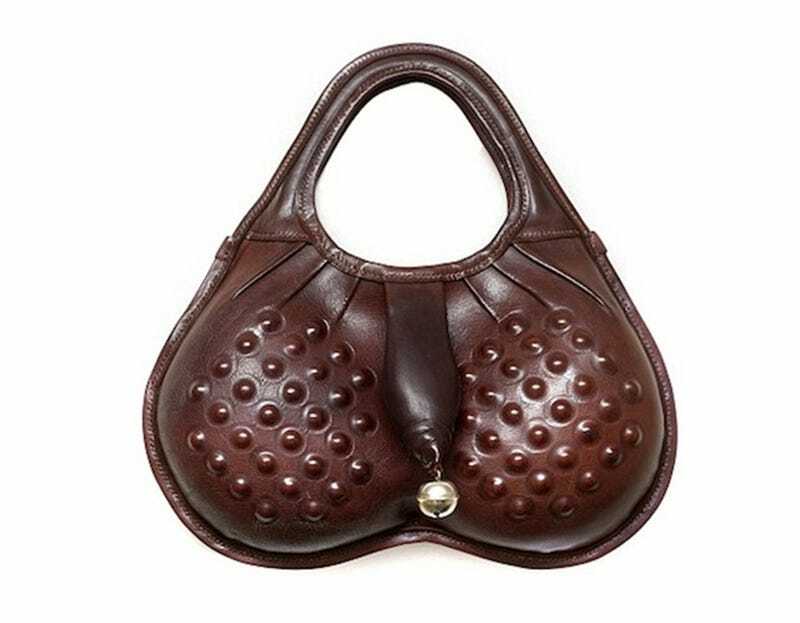 The bag, dubbed the "Scrotal Sac" is one of a kind by artists/designers Grayson Perry and Andy Bates. Dreamt up by Perry, he then approached Bates, a leather maker, to see if he was interested in making this vision a reality. Of course, Bates said HELL YES. He told The Daily Mail (naturally), "I received an email from Grayson to which was attached a particular drawing; a drawing which was the potter's design for the 'Scrotal Sac'. I took a deep breath and the process of making began." As you do. Naturally.